Chris Abbate’s short story “Irina’s Song” appears in the latest edition of MUSED. Lori Blake’s article “Using Digital Photography to Engage Students With Nature” will appear in the Fall 2011 edition of Insight: Research and Practice in Visual Impairment and Blindness. This will be her first publication. (Congrats, Lori!) Blake teaches science at the Governor Morehead School for the Blind. The article is about her students’ nature photography project. One of the photos from the project will grace the cover of the journal. Have you ever been to Hillsborough’s Hog Day Fest or tried to do something special for mom on Mother’s Day? Take a moment to enjoy Glenn Cassidy’s poems in June’s issue of The Dead Mule School of Southern Literature: “Hog Day,” “Filigree” and “Mother’s Little Helpers.” Cassidy was selected as a poetrySPARK featured reader and also read poems about “Skinny Jeans” and “The Situation” for the fashionSPARK pre-party. Dating based on DNA? Tara Lynne Groth (c’est moi) published an article about new dating trends in Kraze, rescue stories using GPS systems for dogs in Dog Fancy, and several articles about pet custody, DIY divorce and relationships for Dad’s Divorce. Two of her poems appear in the latest edition of MUSED, “Sayville” and “You Win.” Iodine Poetry Journal accepted “How to Find Freedom” for their fall 2011 edition. She had another poem accepted for the fall 2012 edition of Mainstreet Rag. Tara Lynne published a collection of poems in July, Bare Feet on the Dashboard. If you missed John Gosslee’s workshop, read an interview with him here. Check out her author interview with Richard Krawiec. Belea T. Keeney enjoys a continued release of her short stories as e-books, as well as a print edition of Out of Joint and Other Stories through JMS Books. Available through JMS, e-tailers and Kindle. Keeney edits for a variety of publishers and takes on select private clients for developmental editing, author coaching, and copy editing. She will be applying for a Wake County artist grant to attend a writing workshop next summer in Indiana. Did you know one of your fellow members is the editor of a literary journal? Dawn Langley is the editor of The Hyco Review, an arts magazine that accepts work from writers, artists, graphic designers, photographers and musicians located in Person or Caswell Counties. Penelope Mace has a flash fiction piece “Two Girls (The Old Stone House)” in The Blotter. She also had a short story “A Very Un-Suzy-like Suzy” published in New York journal Iconoclast. 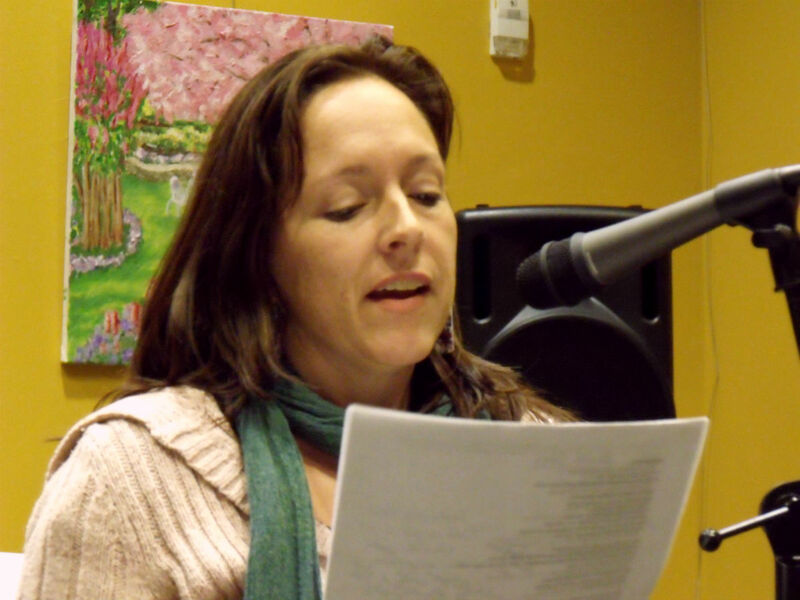 Anna Weaver was selected as a featured reader at poetrySPARK 2011. She also made someone cry with one of her poems at a summer poetrySPARK fundraiser. 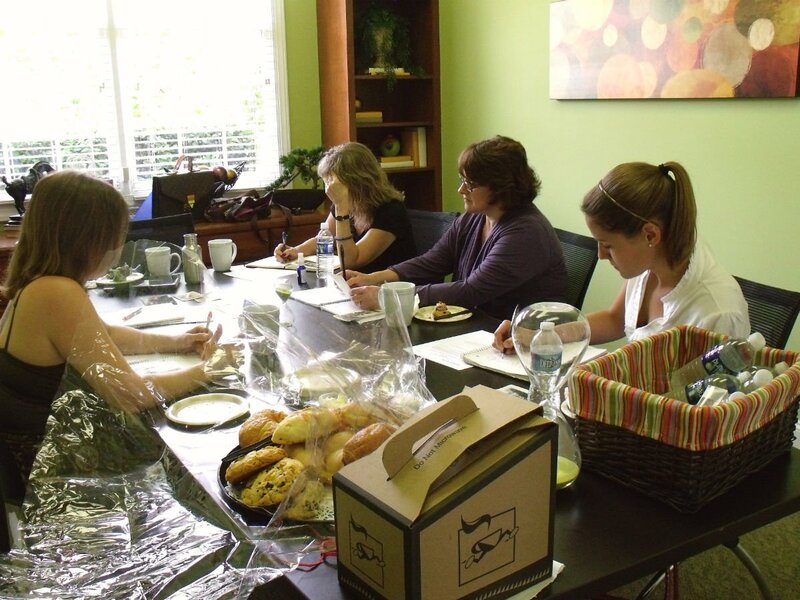 All writing classes hosted at Nature’s Pure Essentials in the Five Points area of downtown Raleigh. RSVP through Triangle Writers. If you’re not a member, instructions can be found here. Brunch includes an assortment of chocolate muffins, cinnamon twists, croissants and coffee from Third Place Coffeehouse. “Book Club” registration opens in December. This is not your typical book club. Triangle Writers members who have a complete manuscript for their novel, memoir or short story collection may register. 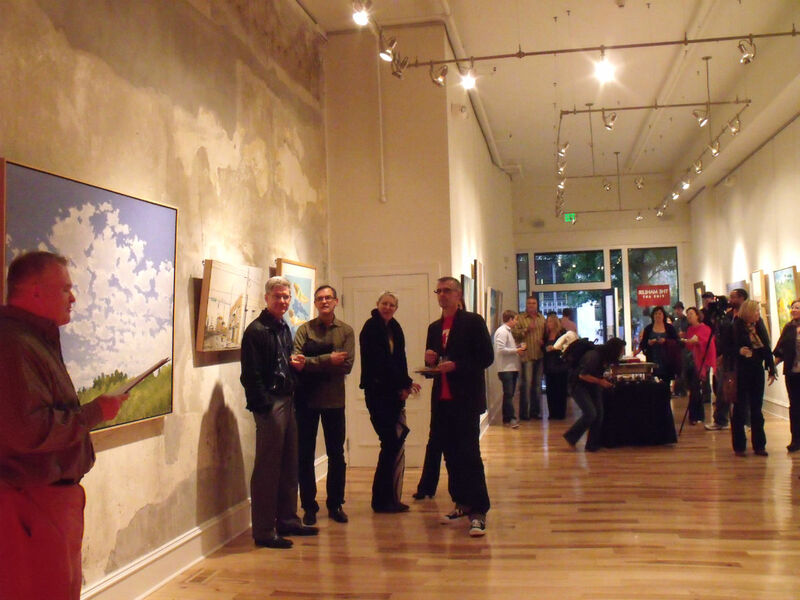 Limited to 6 writers, this group will meet once monthly for six months (ending in June 2012). Each month a manuscript (“book”) will be read, critiqued and discussed. Members who register must have a tight, polished manuscript that they believe is ready for an agent’s review. Upon registration the member must confirm they have a query letter and a list of 3 agents who they plan to target. This is not for rough drafts. Those who register will be required to make a $150 deposit, which will hold their seat for the six-month “Book Club” commitment. After the six months are complete, $100 of the deposit will be paid back to each member who actively participated, contributed and attended every “Book Club” meeting. If anyone chooses to opt out of the group before the six months are over they will not be eligible to receive their deposit. Keep me posted on your successes! Have writers outside of the Triangle-area been just as productive this past summer?